A 75-year-old Wisconsin man was fatally stabbed at Harrah's casino hotel in Joliet. JOLIET, Ill. (WLS) -- A 25-year-old Chicago man was charged Monday in the fatal stabbing of a 76-year-old Wisconsin man at the Harrah's casino hotel in Joliet, police said. Emanuel M. Burgrino, of Hales Corners, Wisconsin, was killed as he left his hotel room Sunday night, police said. Robert Watson was charged with murder after he allegedly stabbed Burgrino in the chest and neck, according to a press release. Officers were called to the hotel at about 10 p.m. and found the man in the hallway. He was taken to St. Joseph Medical Center, where he later died. Monday morning, Joliet police released surveillance video photos of a person of interest in the crime. Watson was taken into custody Monday afternoon at the Joliet Public Library, 150 N. Ottawa St. Anyone has any information about the stabbing are asked to contact Det. Ray Jansma at 815-724-3028 or the Joliet Investigations Unit at 815-724-3020. They can also contact Will County Crime Stoppers at 800-323-6734 or online at https://crimestoppersofwillcounty.org/ if they wish to remain anonymous. 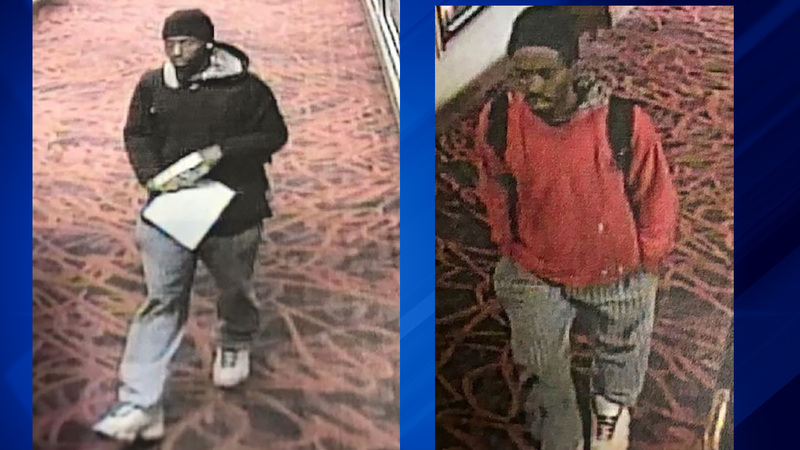 Joliet police released photos of a person of interest in the fatal stabbing of a Wisconsin man at Harrahs Casino Hotel in Joliet. In a statement, Randy Conroy, Harrah's Joliet senior vp and general manager, said: "The team members at Harrah's Joliet express their deepest sympathies and condolences for the family of the victim. We continue to support the Joliet Police Department in its investigation of the incident last night."